There are a number of singularly stressful and annoying circumstances in which you could find yourself needing emergency roofing services. A couple months of bad weather can really finish off an older roof, and you can’t really go without a functional roof for any length of time. Letting moisture into your home is a sure path to an expensive problem, so when disaster strikes, make sure you get the right roofing company out quick. Maybe you’ve seen a couple of months of harder weather, heavy rains, powerful winds, maybe a rare bit of intense snowfall, and that’s been a bit more than your roof could handle. Maybe yours is an older, more antiquated property, with a slightly worn out roof. Whatever the reason, sometimes roofs fail, and break, allowing water and moisture into the property, and you can’t really put off or get around getting it sorted. So Now You Need a Roof! The fact is, quality reliable roofs are totally and completely necessary. The damage and problems that’s can occur if you go on with a damaged or failing roof over your property are extensive and costly, and can’t really be swept under the rug. Issues like lasting property damage, extensive water, frost and other weather damage, mould caused by the new moisture in your home, as well as the fact that you cannot keep a property with a faulty roof warm. What Can Happen Without a Roof? If you’re going without a full functional roof over your head for any length of time, you need to know the risks. Maybe you’ve done a partial patch up job with a bit of tarpaulin and a few nails, but the fact is, that’s always going to leak and fail eventually. Having rain and snow falling into your home or property on the regular is going to cause a myriad of problems, from water damage, to mould, to rot, it’s all very damaging, and very expensive to deal with once it’s too far gone. As well as all that, once you’ve got a big hole in your roof, you’re going to struggle to heat the property properly, which means you could risk frost damage happening, which can also become a very costly to deal with as it destroys pipes and fittings. Really, what it comes down to is getting an emergency roofing company out as quickly as is possible, and making sure your problem is dealt with. Emergency roofing companies patch up and fix failing roofs, making sure no water or moisture is getting into your property, potentially causing extensive damage. What to Look for in an Emergency Roofing Company? So you’ve established you need an emergency roofing company, what should you look for? Well, like any service, there’s a few key things to bear in mind. The first in this scenario should be the emergency elements. You need them to be out there, at your property as quickly as possible, and you can’t be dealing with any “we need to order some new parts in” type excuses. You need a decent fix, and you need it as quickly as possible, before the rain, snow or wind can damage and exacerbate the problem roof any further. 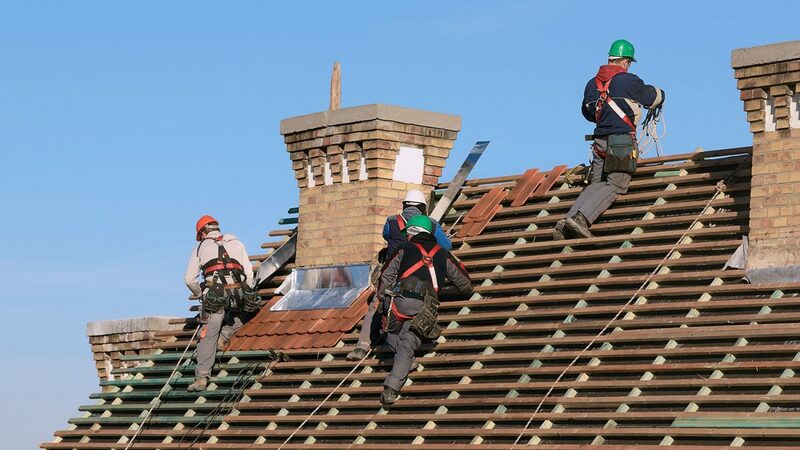 As speed is of paramount importance, you need a local Cheltenham or Gloucester based emergency roofing company. Beyond that, you simply need to evaluate your options as you would any other company or service. Get some different quotes and compare, read a selection of reviews online, and make sure you research any company before getting them in to do the job. Provided you do your research properly, you can expect to see your roof dealt with as quickly and effectively as possible, leaving you able to focus on the things that really matter, instead of that drippy annoying ceiling that’s been on your mind for the past few weeks! ACT Direct Ltd are your one-stop-shop for all your property repair requirements. We operate throughout Gloucestershire, including Cheltenham and Gloucester. Our emergency-call-out services are available 24 hours a day, 7 days a week to both residential and commercial customers.